Barbara is based in Jacksonville, FL and concentrates on yacht sales and marketing for the firm from South Carolina to the Space Coast area of Florida. Beginning in her teen years in Atlanta, Barbara was power boating and water skiing before taking up sailing in college, the result of a weekend seminar she took through the Yale Sailing Club. By 29, Barbara was “hooked” as a boat owner herself (her first vessel being a 25-foot Pearson, which she enjoyed on Lake Lanier). 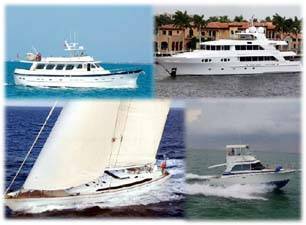 Having chartered extensively throughout the Caribbean and sailed the southeast coastal waters of the U.S., she is comfortable on just about any size vessel. And because she believes that “good crew brings good food”, she is readily welcomed aboard. Barbara is a leader in the Jacksonville boating community, and has held numerous board positions for North Florida Cruising Club, including Commodore. She is past Secretary of Jacksonville Sail and Power Squadron and a member of both MTOA and AGLCA. As a past Rotarian and past volunteer for Treat The Troops and Samoyed Rescue, she definitely gives back to her community. 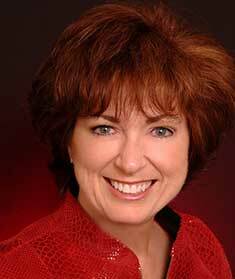 Barbara is a member of American Mensa and a graduate of the Chamber of Commerce Leadership Academy. With more than three decades experience in the real estate profession, she is skilled in negotiations and the detail oriented nature of yacht transactions. When she isn’t helping clients with their nautical needs, she is an avid boater herself and loves what she calls White Knuckle Sailing, with winds resulting in small craft warnings. Reach Barbara by phone at (904) 310-5110 or by e-mail: barbara@curtisstokes.net.